Your roof is an important part of your property that should not be forgotten. Over time you will most likely need to replace your roof. 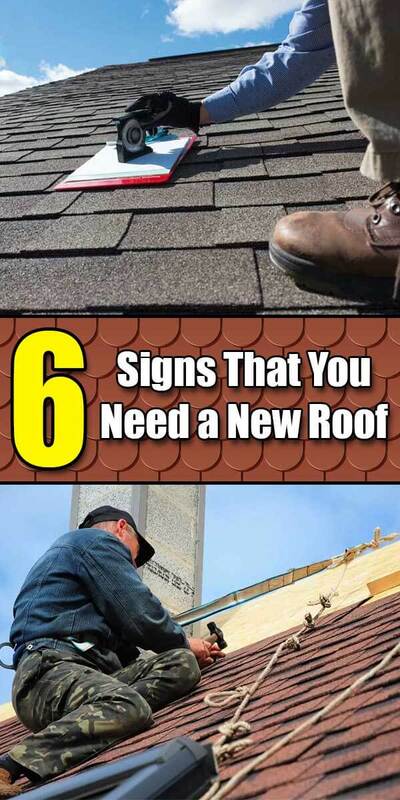 Knowing when you need a new roof is key. There are more than a few signs that you can be on the lookout for that will indicate you need a new roof in a hurry. One of the biggest indicators that you may be in need of a new roof is having a roof that says. When you have a sagging roof, it is a sure sign that you have damage and complete collapse of your roof could be in the future. A sagging roof let’s you know that your roof is vulnerable and it is time to have a new roof installed right away. It is also a good idea to be on the lookout for moss growth on your roof. If you have the ability to look at the top of your roof from a distance, the green growth of moss could spell trouble. When you have moss growing on your roof it can indicate that there is trapped moisture. This is a sign that it is time to get your roof inspected by a pro and a new roof installation is most likely required. Missing shingles can be pretty common and are possible without any significant roofing damage. You just need to be sure that your missing shingles are repaired and that it is not a common occurrence. However, missing shingles in a lot of areas on your roof can spell trouble and be a big sign that your roof needs to be replaced. Another sign that you may need a new roof can be tied to the condition of your flashing system. The flashing system is tied to the durability of your roof and when you have a flashing system that is not working properly, it can lead to roof damage that can leave it more vulnerable. That’s why it’s important to inspect the flashing at least yearly, or if you don’t feel up to it, to hire roofers in Macomb County MI in to do the job for you. Either way, just make sure your flashing is in good shape! Time should also be something that you are aware of when you are thinking about getting a new roof. If you have a roof that is more than 10 years old, this is often a big sign that you need a new roof. It is possible for some roofing systems to last longer, but most are not designed to last much past this marker. When you are looking to check the condition of your roof, it is always a good idea to begin indoors with the condition of your attic. Your attic will tell a lot about your roof and if you will need to have a new one installed soon. If you notice leaks or any other signs of damage, this is a big sign that it is time to have a new roof installed. You want to be sure that you correct any roof issues before you have major damage that impacts the interior of your home.